Is Poland's Holocaust law changing US attitudes towards Ukraine’s memory laws? Judging by a new congressional letter, Poland's recent "Holocaust law" is catalysing US lawmakers' perception of Ukraine's own "decommunisation" laws. Specifically named in the legislation were the Organisation of Ukrainian Nationalists (OUN) and its militant offshoot the Ukrainian Insurgent Army (UPA). Both organisations were radically anti-Semitic and anti-Polish and engaged in widespread violence against both groups. By the end of the Second World War, several thousand Jews and up to a hundred thousand Poles (though estimates vary) were dead at their hands. This wasn’t a hidden agenda. 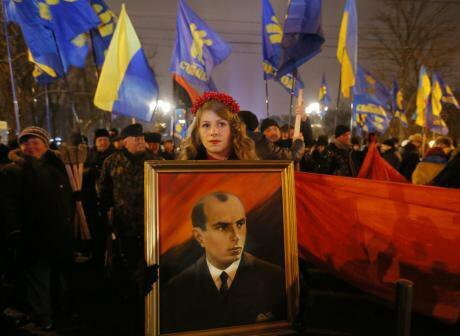 In its 1941 manifesto, the Stepan Bandera wing of the OUN explicitly called on its members to “liquidate undesirable Poles, Muscovites, and Jews”. A significant portion of the group’s leadership served at one time or another in German-led military formations engaged in crimes against humanity. This reality has been obscured by the Ukrainian government and its in-house historian Volodymyr Viatrovych, who heads the Ukrainian Institute of National Memory. Under Viatrovych, the OUN and UPA’s pasts have been whitewashed and a new narrative in which they actually saved Jews was presented. Despite the thematic similarities between the Ukrainian and Polish bills, when President Petro Poroshenko signed Decommunisation into law three years ago, the international reaction was relatively muted. 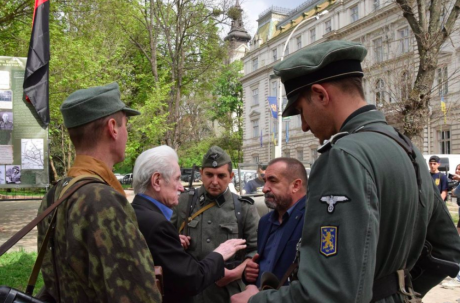 The OSCE Representative on Media Freedom and USHMM condemned the new policies as an unacceptable burden on freedom of expression, as did the Simon Wiesenthal Center and dozens of western historians. However, Ukraine was fighting a hard fought war against Russian revanchism and Kyiv had strongly indicated that in the post-Maidan period it was desperate to enter the western orbit. Alongside its military efforts in eastern Ukraine, Russia was also pursuing its war on the battlefield of ideas, painting Ukraine’s leadership with the brush of fascism and anti-Semitism and playing up its own myth of the Great Patriotic War. The general consensus among academics and journalists at the time was that many in the west, sympathetic to Ukraine and pressured by their own Ukrainian diaspora communities, were uncomfortable criticising a newfound ally in a way that would lend credence to Kremlin propaganda. Memory issues just weren’t a priority. For Jewish communities and Israel the story is slightly different. Pre-war Poland was the home to one of the largest Jewish communities in world history and currently plays an important role in Jewish historiography. As one of the primary locations in which the Nazis carried out their Final Solution (Jews from across Europe were murdered on Polish soil), it has also become a common destination for Jewish students from around the world looking to explore their collective past. Poland simply has a greater resonance for non-Russian speaking Israelis and diaspora Jews than does Ukraine. The importance of the Congressional letter (even if it has zero policy impact) rests on the fact that even after Poland passed its own law, there was little attention paid to similar policies enacted in Hungary, Ukraine or the Baltics. “I would argue no one has paid any attention to the Ukrainian situation even in light of the new Polish news,” argued UCLA historian Jared McBride. However, that may be beginning to change. 27 April. This article has been updated to reflect the wording of Poland's new memory law.